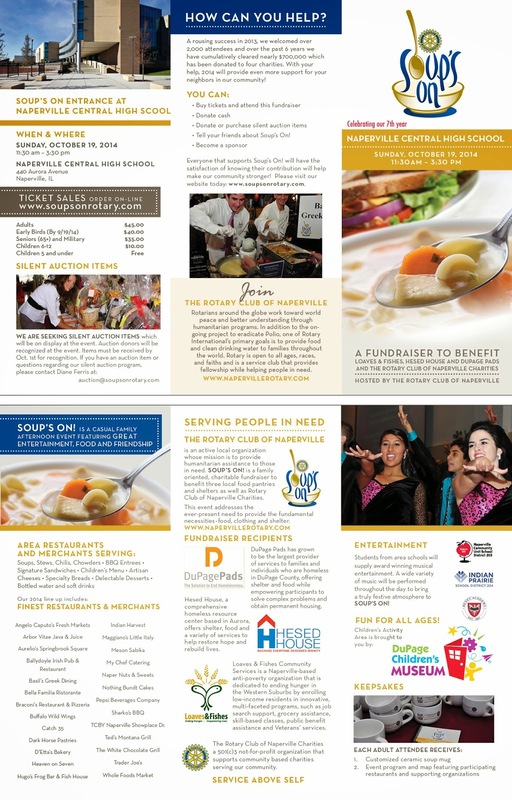 Benefiting Hesed House, DuPage PADS, Loaves & Fishes Food Pantry and the Rotary Club of Naperville Charities, the concept of “Soup’s On” ties in with the theme of a “soup kitchen” and feeding people in need – a goal of these three not-for-profit organizations. If you are unable to attend, you can still donate directly to any of the charities listed below to give back to those in need of food and shelter in DuPage County, IL. I hope you are able to make it and have a great time while giving back to those in need! Want to see your event featured on my blog? E-mail me at savymommymoments@gmail.com to get started! I look forward to working together!